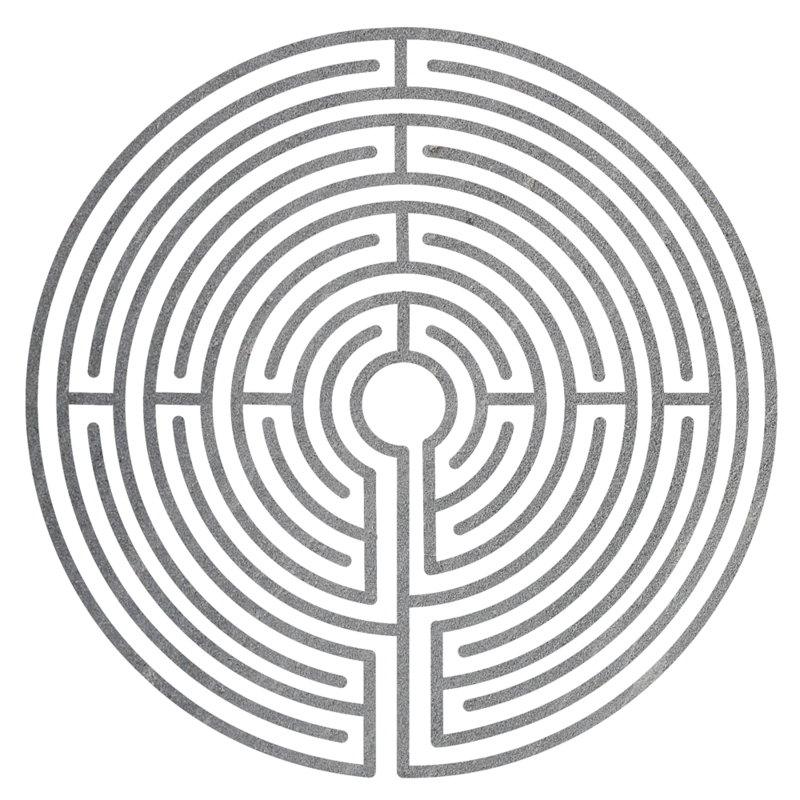 In Greek mythology, the labyrinth was created by the artificer Daedalus for King Monos of Crete. It was a structure that was an elaborate prison for the half-bull, half-man creature known as the Minotaur, who was eventually slain by the hero Theseus. The labyrinth tells of a complex and intricate set of dead-ends and false paths, a meaning that often makes Labyrinth and maze quite synonymous even to this day. But labyrinths and mazes are not that similar; and there is a subtle but key difference between them that isn’t widely known. Mazes, are often constructed with wrong turns and architecture that forces a person to retrace their steps and find out where they walked in the wrong direction. They are built specifically to get people lost. Labyrinths by contrast, are non-branching, and actually linear, leading from the outside to the centre and back. Their route is unambiguous, and not difficult to navigate. One might even call it scenic and meditative in nature, allowing time to ponder and reflect through the circular journey it creates — returning its participants back to the beginning, in a slightly altered way. The Romans were particularly fond of adorning walls and floors of buildings with tile or mosaic patterns that showed a labyrinthine design; and this extended out globally across all cultures. The Basilica of Saint-Quentin and Cathedral of Amiens (both in France) are two buildings that feature labyrinthine mosaics prominently on the floor. These patterns are often large enough that visitors walk along them. But how exactly is this achieved? As mentioned before, a maze is build to test of memory, engaging left brain cells and asking the brain to decipher tricks and turns. Where did you go wrong? Do you remember which way is the right way to get to where you want to be? The labyrinth does not ask these questions. It simply exists, and requires you only to walk and then walk back. You do not need to figure anything out — the pathway will lead you, even though it moves from side to side — almost as if you were being cradled by where your feet take you. Jenny Peterson, a Texan garden designer who specialises in a lot of labyrinth hedges and paths, writes in her article Therapeutic Spaces, that labyrinths calm the body by way of bilateral movement. 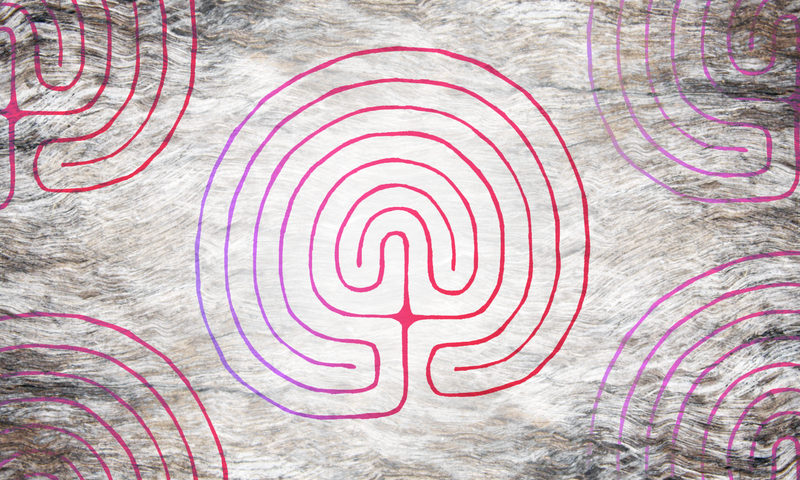 Like all back and forth movement of the body and brain (whether in a rocking chair reading, knitting, or pacing back and forth) the structure of the labyrinth lends itself as a form of walking meditation. Anxiety, depression, nausea,and people who struggle with physical and mental equilibrium are ailments that can be helped by this movement. At the very least, labyrinths reduce stress via personal reflection. Institutions such as hospitals, spas, schools, wellness centres and even prisons have implemented the labyrinth, heeding its ancient patterns and believing in its restorative powers. A prisoner at Hampshire county jail, where a class on labyrinths was offered to inmates, was surprised that his skepticism wore away by the fourth session of walking through a garden labyrinth. He spoke of his patience growing, being mindful of his emotions and reflecting on his family, those that he had harmed and what his life had become. It ultimately enabled him a sense and a viewpoint of freedom despite his surroundings. Seen from afar, it’s intriguing how similar the brain and a labyrinth appear to one another. Their shapes and contours parallel each other, and are perhaps much more related than they seem on the surface. 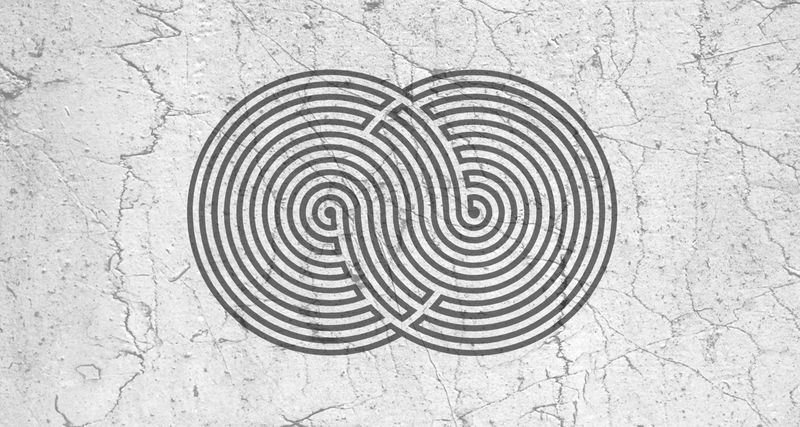 In Christopher Nolan’s 2010 movie Inception, the overarching motif of mazes and the mind is central to the layers of narrative in that story. Unsurprisingly, Christopher Nolan chose it as an overarching motif in his film. With more explicit homage, Ellen Page’s character, Ariadne, is the hired dream architect. She shares the same name as the Greek legend Ariadne who gave Theseus a ball of very fine thread that allowed Theseus to find his way out after slaying the minotaur. And here we come full circle, or full labyrinth if you’d like. Perhaps we are all labyrinthine in our most primordial of natures, seeking to find our way and find our centre within ourselves. It is a dive that takes time but unites us to the core of ourselves that ultimately allows us to navigate what is often the ‘maze’ like structure of modern life with greater clarity. Our minotaurs, primal fears of our subconscious, (doubt, fear of the unknown, anxiety, mortality) exist; so too do our Ariadnean threads, helping us move in the direction that allow people to live more authentically and true to oneself than before. Philosopher and theologian St. Augustine once said, something that is loved by labyrinth enthusiasts everywhere.